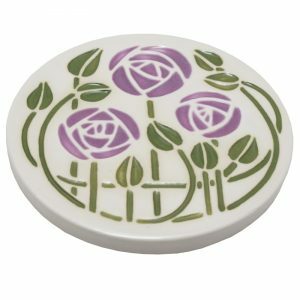 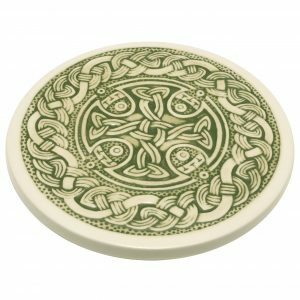 The Pictish teapot stand is ideal for keeping hot dishes and pots off your table tops. 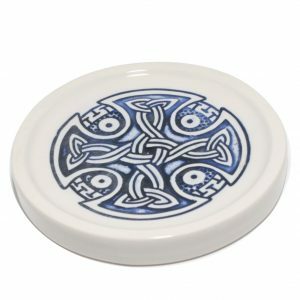 It is decorated with a Pictish design. 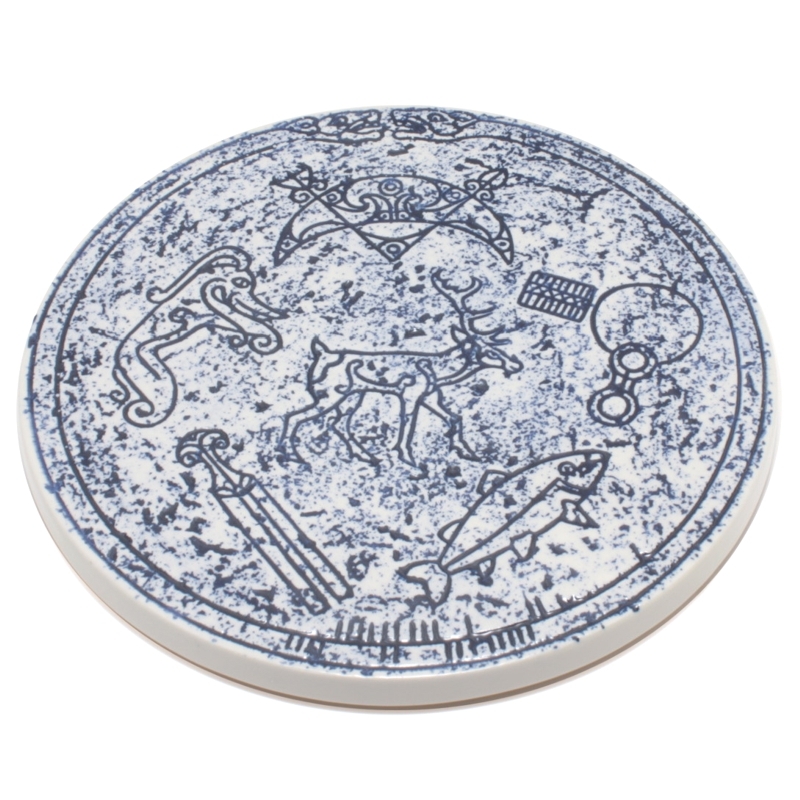 Along side our Pictish coasters it gives any table a Pictish theme. 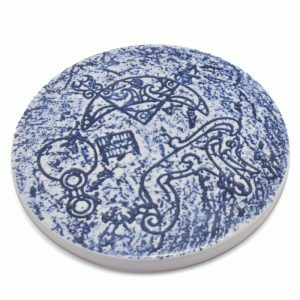 The teapot stand has a cork back and is 15cm in diameter. 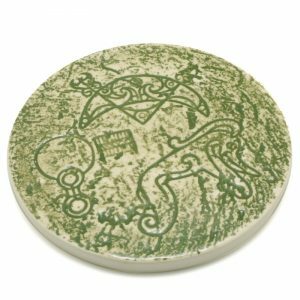 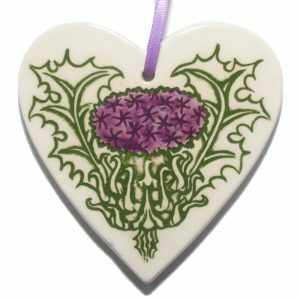 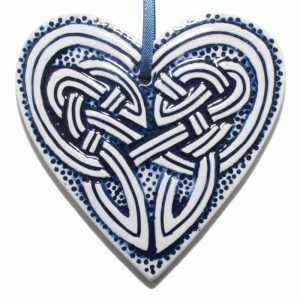 The Pictish Teapot Stand is made by Jacqui Seller Ceramics in Scotland.